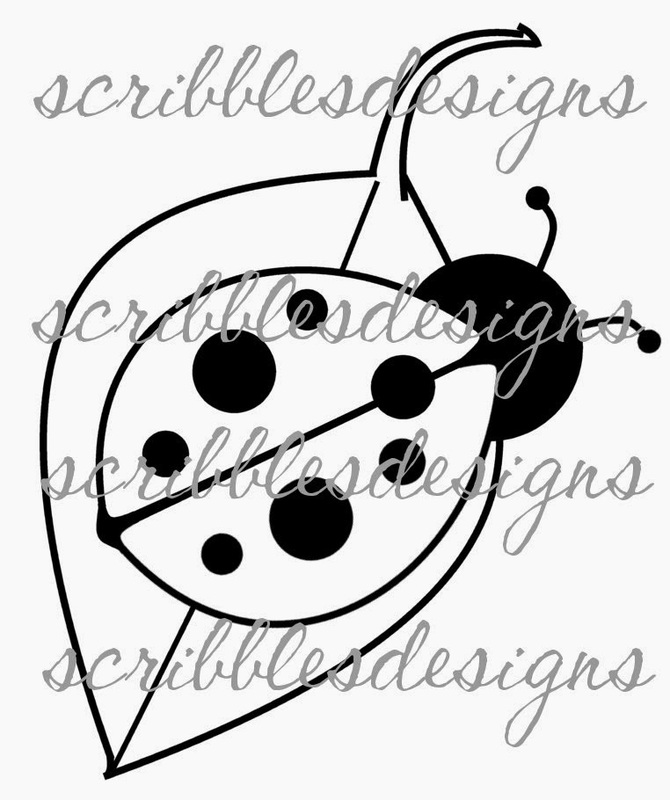 Scribbles Designs: Scribble Doodle Designs Launches Today! 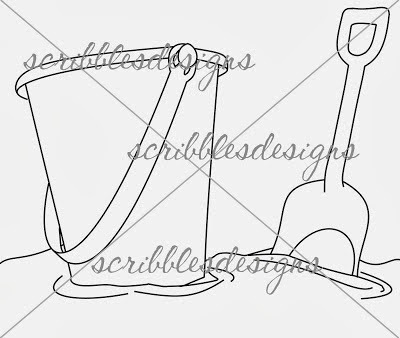 Scribble Doodle Designs Launches Today! "Oh my goodness! I can't wait to see what they come up with!" --C.
"About bloody time these two got together!" --J. "I'm so excited! I love the work of each of these ladies separately so I know that what they come up with as a duo will simply be brilliant!!!" --P.
Okay, okay, so I made all these comments up but someone, somewhere could be thinking this, right?! A girl's got to have dreams!!!! Through this collaborative effort we plan on bringing you a variety of digital goodies to choose from as I, Lisa, will take Sandy's fabulous existing digital images and turn them into digital papers and other goodies for your scrapbooking pleasure. We'll also be offering other digital designs as part of some Mini Mash-Ups. Right now we are pleased to introduce our first set called 'Sizzlin' Summer'. We've been teasing you with bits of it this past month but it is finally time to unveil the paper set. So that is a total of $3.99 for all 12 papers! Now individually the items in this package would be worth $14.00 but since we love our readers so much, we are offering it for a measly $10.00! That is an overall savings of $4.00!!! To purchase any of these items advertised today, simply click HERE to be taken to their location in the Scribbles Designs store. How would you like the opportunity to win the Sizzlin' Summer Paper Set? Well, all you need to do is leave a comment on this post between now and August 17th letting us know what you think of this new direction. 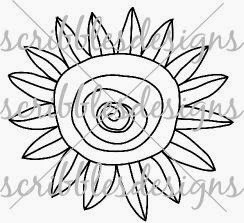 We'd also love to know if there are any Scribble Designs images in particular that you'd like to see made into a paper. A random draw will be held and you might just walk away with a free copy of our very first set! But we're not done yet!!! 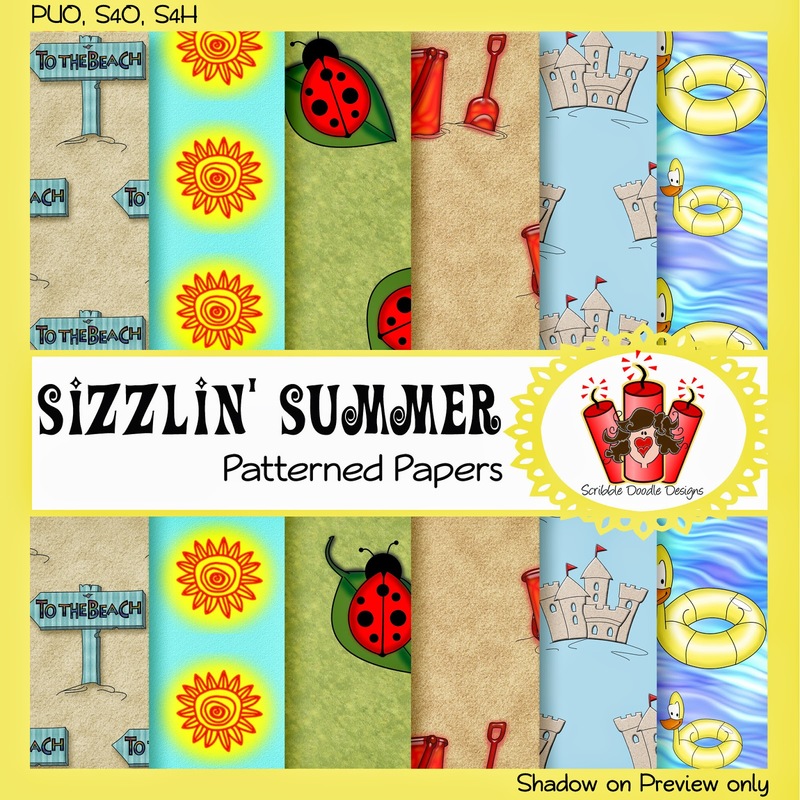 Anyone who purchases a minimum of $12.00 of images (at one time) from the Scribbles Designs store between now and the end of August, will receive the Sizzlin' Summer Patterned Papers for free. 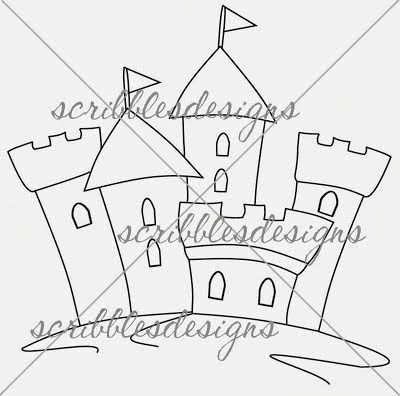 If you do spend $12.00 and would like the set of patterned papers, be sure to make a note of that at the time of purchase. During the payment process, you'll have the opportunity to leave Sandy a note. Just write, "Please send me a free copy of #DP 002 since I've spent $12.00." Then you'll be sent a copy of the paper set as well. Easy Peasy! We have so many exciting combinations planned but like all things, they will take time to come to fruition; so, we hope that you will all stick with us as we begin this new venture together! 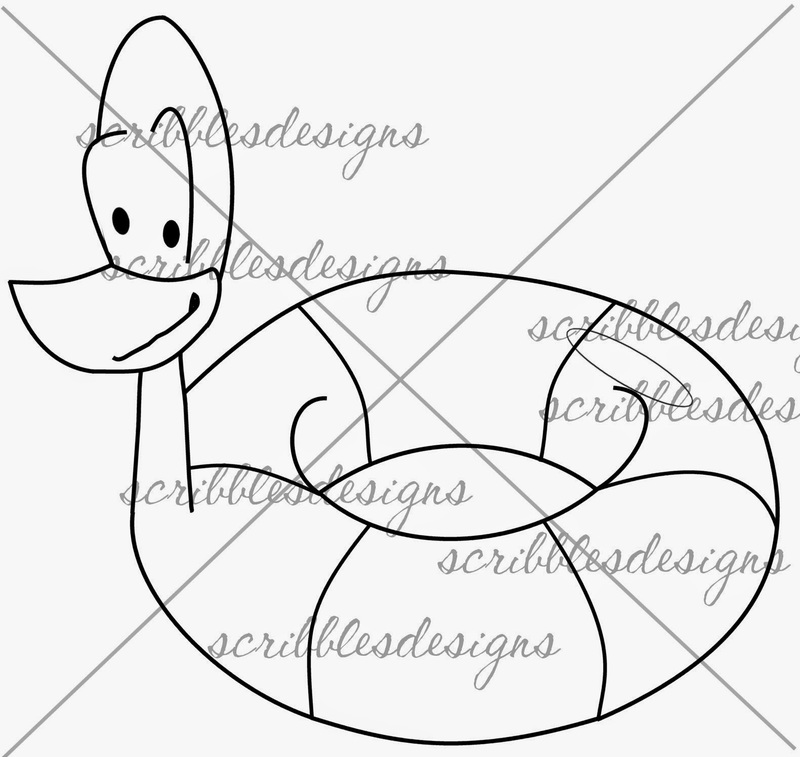 If you have any questions, please do not hesitate to contact us by sending a message to scribbledoodledesigns [at] outlook [dot] com or by clicking HERE to bring up the address in your email program. 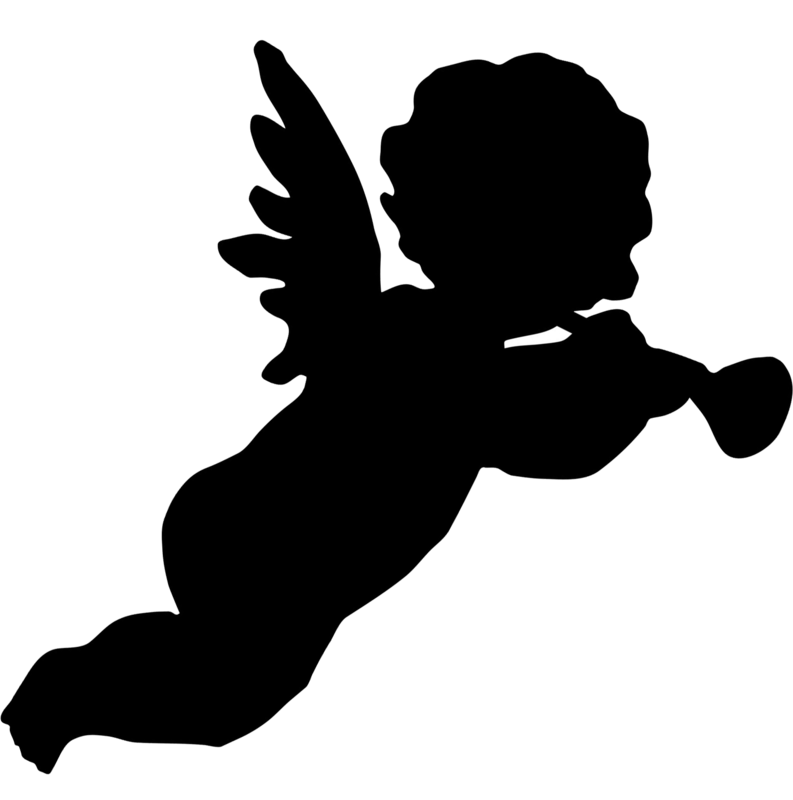 *Credit: Cherub image is courtesy of Karen Arnold, PublicDomainPictures.net. What a fabulous collaboration! I think your new Sizzlin' Summer papers are fabulous! 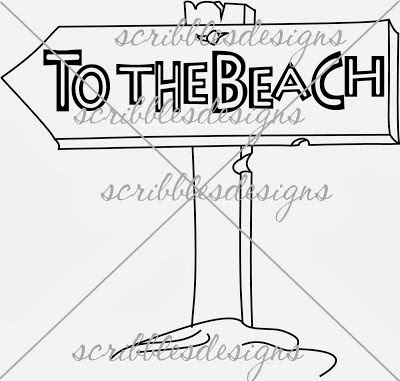 It's a fun set - great for those beach-themed cards and layouts! I really like the images you chose to incorporate into the papers, especially the ladybug and the duck ring! Great summer colours too! Thanks so much for the compliment Kitty! Glad you like the new set! Of course I know what you want to see in the future and hopefully as Sandy creates more feline images, I'll be able to make a set dedicated to cats specifically with you in mind! Congratulations, these are really lovely. I would love to win the set. Thanks so much Margaret, that is sweet of you to say! Thanks Margaret! We're excited about our adventure here at Scribbles... Good luck to win the Sizzlin' Summer set! WELL, IT'S ABOUT TIME! LOL This is the best combo since chocolate bars and marshmallows (well, add the graham crackers, why don't you!!) I would love to win those papers! But good luck to everyone!